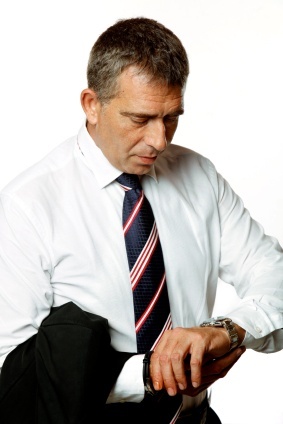 Can Your Dry Cleaner Give You More Time? You’ve put in tons of hours on a new high-profile project. The big presentation is coming up, and … you simply do not have time to go to the dry cleaners. Do you trust your favorite power suit to the low-cost cleaner around the corner? Do you bail out of work early so you can make the last drop off? Neither of these is appealing options, and let’s face it, you want to look amazing for the big presentation. Why not have your dry cleaners deliver? At first blush, that seems like a great idea! But does your dry cleaning service even offer delivery? And if so, is it convenient for you? you could save $2500 per year! Bibbentuckers picks up and delivers dry cleaning and laundry to your office or home saving massive amounts of time! Bibbentuckers offers all services via delivery, including cleaning, pressing, shoe repair, oriental rug cleaning, and alterations. The same driver means personalized service – your delivery route will be serviced by the same driver, who knows exactly what you require. Drop off in the back of your home? No problem. Need to drop off with the receptionist on the 7th floor. Easy! Your own personal bag – keeping your items separate, safe and specific to you. Bibbentuckers’ delivery and pick-up service have an added bonus – there is no additional cost to you. The service is easy to use. Simply deposit the items to be dry cleaned and serviced in your personal bag, put it in the prearranged drop-off place, and wait for them to be returned on the next delivery date. So, the next time you need to be pressed and ready to go for your big presentation, remember…you can save time using a high-quality delivery service. For more information on our pick-up and delivery or any of our services, visit www.bibbentuckers.com.